Welcome to a special six-part series of More Power To You, produced in partnership with the Maryland Clean Energy Center for National Clean Energy Week 2018. Each of these six episodes spotlights a different clean energy technology, and features some of the people and companies leading the way in Maryland. In this episode, the first in the series, we focus on Energy Efficiency in the Built Environment. My three guests all wear multiple hats: they run small businesses and also serve in leadership roles in industry associations. Michael Giangrandi is the owner of A.J. Michaels Company and Chair of the Maryland Alliance of Energy Contractors. In our conversation we look at how the energy efficiency sector is a big employer of local jobs, but finding trained employees can sometimes be a challenge; and how standards and policy have driven change within the industry. 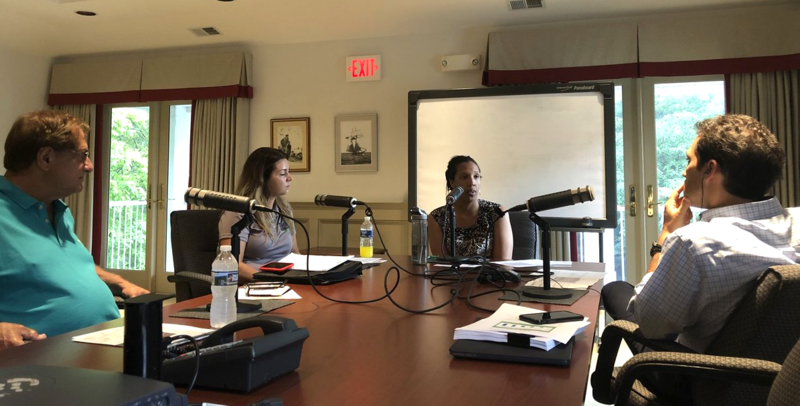 We discuss different ways of financing energy efficiency upgrades, including the Empower Maryland program; we look at the unique challenges and advantages of older, historic properties; and we close with a look ahead and how the industry may continue to evolve. Next month, the Maryland Clean Energy Center is hosting its annual Maryland Clean Energy Summit, a three-day conference that runs from October 8-10 in College Park. The conference focuses on cutting-edge technologies, modern business models, and innovative regulations and financing solutions to ensure a secure, resilient and transactive power grid. More Power To You listeners will get a 10 percent discount on registration if you enter the coupon code MPTY at checkout. Recorded July 23, 2018. Published September 23, 2018.